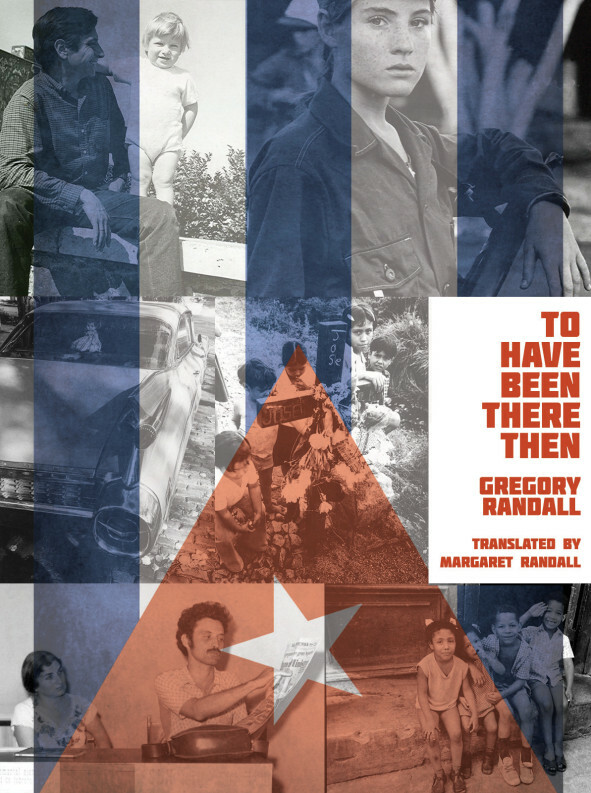 The Operating System is honored to be releasing Gregory Randall’s vital, engaging memoir, “To Have Been There Then: Memories of Cuba, 1969-1983” in January of 2017. Here you’ll find reflections from Randall – and his mother, translator of this volume, Margaret Randall — in addition to advance praise for the book from esteemed early readers. You can read the introduction to the book – and find a link for a special playlist of songs of the era created from musicians mentioned in its pages – here. Please join us in New York at Bowery Poetry Club on January 8th in celebration of the book’s release! This memoir of a young boy and man, who was born in New York City, grew up in Mexico and was suddenly transplanted to Cuba at the age of eight when his parents suffered a repression, is extraordinarily relevant at this time. It is almost magical that the book is being released now, in the wake of Trump’s unexpected victory and Fidel Castro’s death: the first a challenge not only to ongoing U.S./Cuba relations but to all our futures, and the second a moment in which so many of us are feeling a tremendous sense of loss: the end of an era. The young boy and man, now a much older man, is my son, Gregory Randall. He lived in Cuba from the age of eight to the age of twenty-three, participating fully in the creation of a new society, studying at Cuban schools, reaping the benefits of a society based in justice and confronting the contradictions even then apparent within the Revolution. Currently a professor at the University of the Republic in Montevideo, Uruguay, Gregory wrote this book in his native Spanish and it was published in Uruguay some six years back. There it quickly sold out two editions, and became the basis for many public and private discussions. Believing it to be one of the best books I’ve read about Cuba, I made an English translation and began looking for a publisher here. Earlier this year, I was fortunate to find Lynne DeSilva-Johnson and The Operating System. The amazing press immediately agreed to bring the book out. We couldn’t have hoped for a better marriage–between a book that tells an important story of growing up within the Cuban Revolution and a publisher eager to produce titles that matter. To Have Been There Then is neither apology nor critique. It is a young boy’s story as he lived it, unafraid to ponder what didn’t work as well as what did and does. At this time, when lying politicians give us a discourse of lies and threats, it more than ever behooves us to dig deep, to think about and discuss the values by which we want to live–disregarding platitudes and isms. How can we move forward if the new generations have no knowledge of what those preceding them did? Historic memory is vital, and I continue to think the best way of transmitting that memory is orally, from parents to children, grandparents to grandchildren. We need many voices to be able to reconstruct our history and give tools to those coming up. In this sense, my book is a small contribution to an effort that must be massive and collective. It’s also an invitation to others to tell their versions of what we lived. Only through a diversity of visions will today’s young people be able to understand the richness of the past. “To Have Been There Then is an extraordinary book. Gregory Randall recreates scenes from a revolutionary childhood and youth in Mexico and Cuba during the 1960s and 70s with brilliant vividness that brings an adult’s wisdom to the child’s perspective. He evokes the spirit of revolutionary consciousness of the era, when Cuba’s radical experimentation and commitment to building a new world intersected with revolutionary dreams and movements throughout Latin America. Randall’s childhood was peopled with artists, intellectuals, and revolutionaries from throughout the continent who shared a deep belief in the possibility for radical social change. Cuba’s revolutionary history is told here with verve and drama, through personal detail of a child and young man coming of age in truly historic circumstances.” –Aviva Chomsky, author of The Cuban Revolution, co-editor of The Cuba Reader: History, Culture, Politics. “Here is the perfect book for this time of change in US-Cuban relations, and when a new generation in the United States has embraced the idea and goals of socialism and human solidarity. Gregory Randall’s exquisite coming of age story, set in Cuba during the second decade of the Cuban Revolution, is unflinchingly truthful and compassionate.” – Roxanne Dunbar-Ortiz, historian and author most recently of An Indigenous Peoples’ History of the United States. “I wrote this book for several reasons. On the one hand, it was a personal necessity, a way of looking at my life that became a sort of psychoanalysis. At the same time, I felt the need to talk about what I’d experienced and felt. Many years have passed, and the idea people outside Cuba have of that country is either one of blind devotion or ferocious rejection, often based on a profound ignorance of what has happened there. I’ve also noticed that it’s been hard for the generation that lived the experience to talk about what happened in the sixties and seventies, as if all the defeats we suffered inhibited us at the personal level. Yet life goes on, and today’s youth have similar dreams as ours; they want a healthier and more human world, one with greater justice. How can we move forward if the new generations have no knowledge of what those preceding them did? Historic memory is vital, and I continue to think the best way of transmitting that memory is orally, from parents to children, grandparents to grandchildren. We need many voices to be able to reconstruct our history and give tools to those coming up. In this sense, my book is a small contribution to an effort that must be massive and collective. It’s also an invitation to others to tell their versions of what we lived. Only through a diversity of visions will today’s young people be able to understand the richness of the past. Because I believe so deeply in the essential goodness of human beings, I am absolutely sure we will soon be waging a new cycle of people’s struggles. I think Marx was essentially right when he said that capitalism has a predatory logic with objective limits, and as it expands throughout the world those limits become more obvious. Its internal contradictions produce more and more violent crises experienced by us all. And so we are faced with the need to explore alternatives. The hard work of developing a new ideological synthesis that will allow us to overcome the left’s profound crisis is critical, but so is our internal work individually. It is in this context that sharing our experiences is useful. The sixties and seventies exploded with idealism and beauty but too often ended in bloodshed and death. The nihilism and individualism in which so many took refuge is one of the symptoms of the profound crisis in which we find ourselves today. It’s important to understand what happened, to retrieve the beauty, and also to understand where we went wrong, to think about how to retrieve those dreams and rebuild our confidence, to understand that it’s possible to believe in and build collective projects. In a certain sense the brutal advance of religious obscurantism (a broad range of fanaticisms) has taken us back 300 years, to before the French Revolution. Broad sectors believe once again that it is impossible for human beings to shape our destinies. I think one of the central aspects of the Cuban experience I knew was its proof that it’s not only possible to dream but also to do. Even if the success and beauty are momentary. It’s so hard to understand that everything is a process of change and to learn how to value the process more than its presumed end result. GREGORY RANDALL was born in New York City in 1960, then lived eight years in Mexico, fourteen in Cuba, eleven in France and since 1994 has resided in Uruguay. He and his wife have three children and one grandchild. He did his undergraduate work in telecommunications in Cuba and earned his doctorate in information technology from the University of Orsay, France. Since 1994 he has been a professor of electrical engineering at the University of the Republic in Montevideo. From 2007 to 2014 he was also that institution’s vice president for research, during which time he promoted and oversaw the establishment of several university campuses in the interior of the country. To Have Been There Then is his first book, a memoir of childhood and young adulthood in the Cuba of the 1970s and ‘80s, with moving, often breathtaking stories of what it was like for a young boy to grow up in revolution. MARGARET RANDALL (Translator; b. New York, 1936) is a poet, essayist, oral historian, translator, photographer and social activist. She lived in Latin America for 23 years (in Mexico, Cuba, and Nicaragua). From 1962 to 1969 she and Mexican poet Sergio Mondragón co-edited El Corno Emplumado / The Plumed Horn, a bilingual literary quarterly that published some of the best new work of the sixties. When she came home in 1984, the government ordered her deported because it found some of her writing to be “against the good order and happiness of the United States”. With the support of many writers and others, she won her case in 1989. Throughout the late 1980s and early 1990s, she taught at several universities, most often Trinity College in Hartford, Connecticut. Randall’s most recent titles include My Town, As If The Empty Chair / Como Si La Silla Vacia, The Rhizome As A Field Of Broken Bones and Daughter Of Lady Jaguar Shark (all poetry, all from Wings Press, San Antonio), Che On My Mind (a feminist poet’s reminiscence of Che Guevara, published by Duke University Press), and More Than Things (essays, from The University of Nebraska Press). About Little Charlie Lindbergh, a collection of poems, appeared from Wings in summer 2014. Haydee Santamaria, Cuban Revolutionary: She Led By Transgression, is recently out from Duke (August, 2015). Her most recent collection of poems (June 2016) is She Becomes Time. A large bilingual anthology of Cuban poetry, Only The Road / Solo El Camino was released in the fall of 2016. Randall lives in New Mexico with her partner (now wife) of almost 30 years, the painter Barbara Byers, and travels extensively to read, lecture and teach.